Frostbite is when your skin actually freezes due to extreme cold or even touching extremely cold items (another reason to keep your gloves on, especially while handling anything metal such as a wrench in extremely cold conditions). Frostbite can leave you with damaged tissue, which will always be more susceptible to injury in cold conditions for the rest of your life… Not fun if you work outside. It can leave you with all sorts of injuries from blisters all the way to amputation, depending on severity. Also keep in mind that frostbite can go hand-in-hand with hypothermia. If you are suffering from hypothermia your body will limit your blood flow to your extremities to keep your core warm therefore, all your extremities will cool at a rapid pace leaving you much more susceptible to extreme frostbite. Signs of frostbite include the area being cold (obviously), with it stinging or tingling, followed by numbness. Discolored skin, such as red, purple and in extreme cases white. The area could also be very hard to the touch. If this is happening to you or a co-worker, get somewhere warm. You should try and warm the area very slowly. In extreme cases call emergency crews before performing any first aid. But in mild-to-moderate cases, you can try to warm the area slowly by placing it in warm water. Do not use hot and do not pour warm water directly onto the area. You could also try to wrap in a warm cloth. Frostbite needs to be taken very seriously, as it can leave you with lifelong injuries. 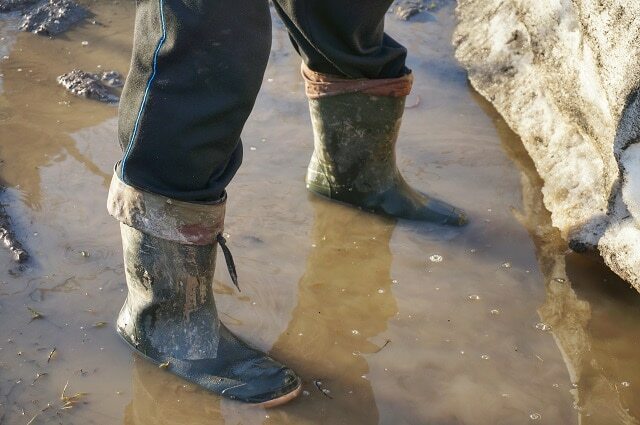 Trench foot is a less severe form of frostbite caused by having wet feet for too long. Similar to frostbite the signs of trench foot are the affected area may be tingly, itchy or develop blisters. If this happens to your coworker warm the feet slowly and ensure they are dry. Tomorrow we will finish up with how to prevent cold stress illnesses.